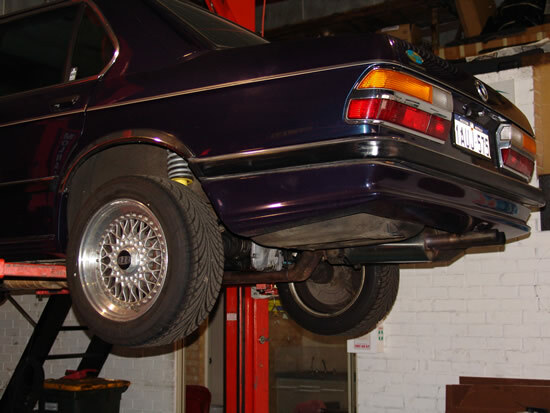 After converting this car from a 4speed Automatic to 5speed close ratio manual we have flowed his original m30 head (using parts from his English import), ported and flowed inlet manifold, chipped his ECU and Ported/Flowed the cast iron exhaust manifold. Also the camshaft is a now a gunuine Schrick 304 degree, early L-JETRONIC type that we drilled and tapped the threads to suit newer DME distributor. Handmade mandrel bend cold air intake and lightened flywheel modified to suit DME by Rubin.